After a hectic few days at the Monaco Yacht Showenjoy a final dinner at the romantic Sass Café —one of the best bar's in town. Then stick around as the likes of Penélope Cruz and Jay-Z turn up to dance until dawn. 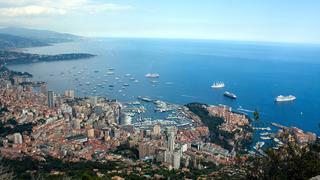 You’ll have plenty of time to recover tomorrow as you take a leisurely cruise westwards along the Côte d’Azur. Today, you cruise. But first, head for the hills, visiting Èze-sur-Mer, a medieval town perched atop a rocky peak. The ocean views from its upper reaches are a calming pleasure — although they are even better with haute cuisine from the dining room of the two-Michelin-star La Chèvre d’Or. In the morning, continue to Cannes, leaving your yacht to visit the spa at the Hôtel Barrière Le Majestic, one of the best luxury spas in the Mediterranean, to be pampered in style. Stroll down La Croisette for luxury shopping, dine at a top restaurant in the old town or enjoy a night anchored in the bay, watching the petite city’s lights glimmer on the horizon. Leave early and stop along the way, anchoring among the Îles d’Hyères to spend the morning alone on the silver crescent of Notre Dame Beach. Sailing into St. Tropez, anchor for a swim off Club 55 on famed Pampelonne beach, one of the best beaches in the Mediterranean said to be the home of the bikini, well worn here by Brigitte Bardot. Dine ashore at Alain Ducasse’s Rivea at Hôtel Byblos, St. Tropez. Continue west the next day to the pretty fishing town of Sanary-sur-Mer, with a palm-treed promenade and a selection of neat little beaches, the pick of which is Portissol. The surrounding woodlands, olive groves and fields also offer a romantic stroll. And enjoy an equally romantic meal on board your yacht, perhaps set up in a special location on the sun deck enjoying the beautiful view. But for true peace there’s little to rival the final stop. 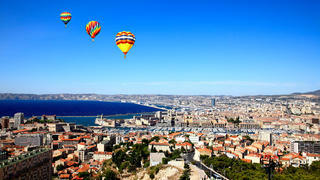 Sail past Marseille to the delta of briny lagoons and sandbars that is Camargue. Explore by foot or bicycle to meet the bountiful wildlife, including semi-wild Camargue horses and flamingos. Back aboard, fall asleep to the sound of crickets – and absolutely nothing else. This morning, say goodbye to the serenity of Camargue and sail back to Marseille where you’ll disembark and meet your plane.